The Photo Wallpaper and the Steampunk Keyboard is created by shippd. License : Quite obviously, the Keyboard is his own. 1440?900 pixels ; resize if needed. It is a JPG download, the file is 405 KB in size. How this Steampunk Keyboard is created? This has been fully crafted by hand. “My goal with this project was to build a retro keyboard that was fully functional and of a sufficient quality that it could be used everyday by a touch typist.” says Jake von Slatt. 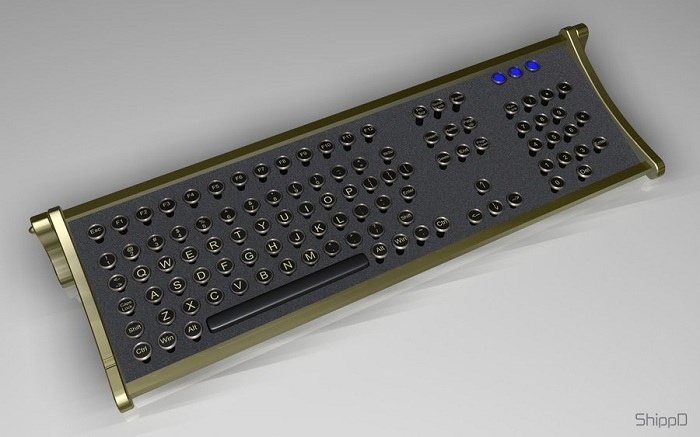 Every brass part has been custom created and an ordinary plastic keyboard’s hardware has been used. Read the full story on the original creator’s website click Here to see the steps. This Article Has Been Shared 610 Times! Clockworks and Gears of golden brass color is a Hardware Rendered 3D Virtual Art as Wallpaper for your desktop. 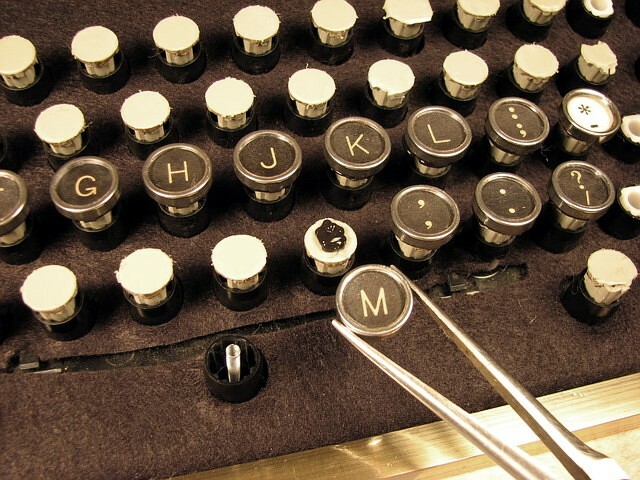 Cite this article as: Abhishek Ghosh, "Steampunk Keyboard – Wallpaper and How Steampunk Keyboard is Crafted," in The Customize Windows, December 10, 2011, April 25, 2019, https://thecustomizewindows.com/2011/12/steampunk-keyboard-wallpaper-and-how-steampunk-keyboard-is-crafted/.